Xining is the capital of Qinghai province in western China, and the largest city on the Tibetan Plateau. It has 2,208,708 inhabitants at the 2010 census whom 1,198,304 live in the built up area made of 4 urban districts. 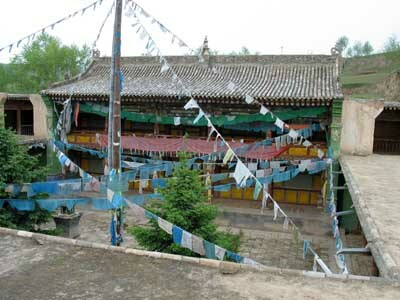 Taktser is the original Tibetan name  of the village of Hongya (红崖村 Hóngyá Cūn, Hongaizi in the local dialect),  together with 13 other villages forming the Shihuiyao Township (石灰窑乡), of Ping'an County, in Haidong Prefecture. Gyalo Thondup, born c.1928, is the second-eldest brother of the 14th Dalai Lama. He often acted as the Dalai Lama's unofficial envoy, and was involved in various political controversies around the Tibetan diaspora. Taktser is not, as it is usually taken to be, in the proximity of the Kumbum Monastery, rather it is approximately 27 kilometres (17 mi) east of the monastery, and around 26 kilometres (16 mi) southwest of the town of Ping'an (平安镇, Tibetan: Bayan khar), which is also the seat of the government for the county of the same name. 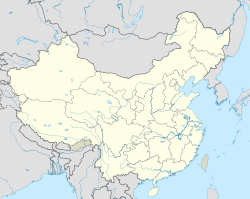 Ping'an District also known as Ping'anyi, is an administrative district and the seat of the city of Haidong, in the east of Qinghai province of the People's Republic of China. Its postal code is 810600, and its population in 1999 was 110,154 people. The house was a rectangular, ground-level building, with its various parts arranged around a wide central courtyard. It had a rectangular flat roof. There were no openings in the outside walls, except for the doorway. In the roof there were three chimneys stacks and two air-holes. Around the roof were small gutters with spouts giving out into the courtyard. Over the entrance there was a socket fixed in the roof to take a 10-foot-high flagpole. The flag itself was inscribed with innumerable prayers. The house was entered from the east side as this was the only side that afforded protection from the weather. A wide corridor led into the yard. To the right was the kitchen, which took up almost the whole eastern wing. In the northern wing was the best room, the altar room and the bedroom of the dalai Lama's parents, all connected with each other. The byre, the guest room and the store room were in the western wing, while the stable, the kennel and the sheep-pen were in the southern wing. The yard, the covered in-way and the stalls were paved with stone slabs. The rooms had wooden floors. Located at 2,843 m (9,327 ft) above sea level, Taktser has an elevation-influenced humid continental climate (Köppen climate classification: Dwb) with long, very cold winters and short, fresh summers. Taktser experiences large diurnal temperature variations, especially in winter months. January has a 16.3 °C (29.3 °F) difference between the average high and low temperatures. ↑ Thubten Jigme Norbu, Heinrich Harrer, Tibet is my country, op. cit., p. 22. ↑ Tibet is My Country: Autobiography of Thubten Jigme Norbu, Brother of the Dalai Lama as told to Heinrich Harrer, p. 21. First published in German in 1960. English translation by Edward Fitzgerald, published 1960. Reprint, with updated new chapter, (1986): Wisdom Publications, London. ISBN 0-86171-045-2. ↑ Sonam Dorje- "Sonam Dorje received an MA in Tibetan Language and Literature from Qinghai Nationalities University in 2012. Based in Amdo, he is currently involved in a Tibetan oral history project as well as film translation.". "The First Taktser, Lobzang Dorje b.late 17th cent. - d.early 18th cent". The Treasury of Lives. Archived from the original on 24 February 2015. Retrieved 1 March 2018. QUOTE= "Lobzang Dorje (blo bzang rdo rje) was born in Chikyā Taktse (chi kyA stag mtsher) Village near Kumbum Jampa Ling Monastery (sku 'bum byams pa gling) Monastery some time in the seventeenth century." ↑ Emily Rauhala, In the Dalai Lama's home town, a moment of limbo, The Washington Post, November 19, 2015: "The spiritual leader was born Lhamo Dondrub to parents who farmed barley and potatoes in the village of Hongya" [...] "his birthplace [is] known to the Tibetans as Taktser." ↑ Gyalo Thondup; Anne F Thurston (14 April 2015). The Noodle Maker of Kalimpong: The Untold Story of My Struggle for Tibet. PublicAffairs. pp. 2–. ISBN 978-1-61039-290-7. 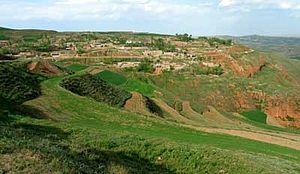 The village sits just at the edge of Tibet at a juncture of several cultures - Mongolian, Chinese, Uighur, Tibetan and Hui, with each culture speaking its own distinct language. Much later, as more Chinese moved into the area and we began to intermix, we began speaking a mixture of Tibetan and Qinghai Chinese language. ↑ The 14th Dalai Lama's road to treason (1), People's Daily Online, April 23rd, 2008. ↑ "Taktser". The Treasury of Lives. Retrieved 2017-08-11. ↑ "The First Taktser, Lobzang Dorje". The Treasury of Lives. Retrieved 2017-08-11. 1 2 Thondup, Gyalo (2016). The noodle maker of Kalimpong : the untold story of the struggle for Tibet. Thurston, Anne F.,. London: Ebury Publishing. p. 3. ISBN 9781846043833. OCLC 941070566. ↑ Thomas Laird, The Story of Tibet: Conversations with the Dalai Lama, 2007, p. 262. ↑ Cf Qinghai Province, Surrounded by Natural Beauty ; figure taken from the Chinese Statistical Yearbook 1985. ↑ John Gittings, Half a century of exile cannot crush Tibetan dreams, guardian.co.uk, February 8th, 2003. ↑ Yu Zheng, An enigmatic paradox - How a layman sees the Dalai Lama Archived 2009-03-26 at the Wayback Machine ., China View, March 13th, 2009. ↑ "China keeps tight lid on riot-hit areas". Agence France-Presse . Philippine Daily Inquirer. 2008-03-24. Archived from the original on 2008-04-04. Retrieved 2008-03-24. .
↑ Taktser Rinpoche: reincarnate lama and brother of the Dalai Lama, Obituary, TimesOnLine, 16 septembre 2008. ↑ Robertson, Tim (August 7, 2018). "A Visit to the Dalai Lama's Birthplace". The Diplomat . Archived from the original on August 9, 2018. The Dalai Lama’s former home isn’t exactly inconspicuous; the CCP have “renovated” it and you can see the gold roof as you drive toward Takster. But that’s the best view we get; the house is behind a four-meter high grey brick wall and, on the day we’re there, the wooden gate, draped in Tibetan khatags, is locked. In lieu of people, the house is watched over by a lone security camera, aimed at the entrance. ↑ Diki Tsering, Dalai Lama, My Son. A Mother's Story, edited and introduced by Khedroob Thondup, Hermondsworth, Viking Arkana, 2000. ↑ Seven years in Tibet, translated from the German by Richard Graves; with an introduction by Peter Fleming; foreword by the Dalai Lama, E. P. Dutton, 1954, ( ISBN 0874778883). "When the regent, after long prayers, came to the water and looked in its mirror, he had a vision of a three-storied monastery with golden roofs, near which stood a little Chinese peasant house with carved gables." 1 2 Goodman, Michael H. (1986), The Last Dalai Lama, Shambhala Publications, Boston, Massachusetts. ↑ Thubten Jigme Norbu, Heinrich Harrer, Tibet is my country, op. cit., pp. 22-24. ↑ Kong, Rudy (2010). Dragons, Donkeys, and Dust: Memoirs from a decade in China. Vancouver: Bing Long Books. pp. 197–98. ISBN 978-0-9813003-2-0. ↑ Roland Barraux, Histoire des Dalaï Lamas, Quatorze reflets sur le Lac des Visions, Albin Michel, 1993. Réédité en 2002, Albin Michel, ISBN 2-226-13317-8. ↑ Gilles van Grasdorff, Hostage of Beijing: the abduction of the Panchen Lama, Shaftesbury, Dorset ; Boston, Mass., 1999. ↑ "Climate: Taktser - Climate-Data.org" . Retrieved January 21, 2018. Nagqu Town, Nagchu in original Tibetan or Naqu, also known as Nagchuka or Nagquka, is a town in northern Tibet, seat of Nagqu, approximately 328 km (204 mi) by road north-east of the capital Lhasa, within the People's Republic of China. Losang Chö kyi Gyaltsen (1570–1662) was the fourth Panchen Lama of the Gelug school of Tibetan Buddhism and the first to be accorded this title during his lifetime. Tertön Sogyal Lerab Lingpa (1856-1926) was a Tibetan Buddhist tertön and a teacher of the Thirteenth Dalai Lama. Thubten Jigme Norbu, recognised as the Taktser Rinpoche, was a Tibetan lama, writer, civil rights activist and professor of Tibetan studies and is the eldest brother of the 14th Dalai Lama, Tenzin Gyatso. He was one of the first high-profile Tibetans to go into exile and was the first to settle in the United States. Tsepon Wangchuk Deden Shakabpa was a Tibetan nobleman, scholar and former Finance Minister of the government of Tibet. The Kashag was the governing council of Tibet during the rule of the Qing dynasty and post-Qing period until the 1950s. It was created in 1721, and set by Qianlong Emperor in 1751 for the Ganden Phodrang. In that year the Tibetan government was reorganized after the riots in Lhasa of the previous year. The civil administration was represented by Council (Kashag) after the 7th Dalai Lama abolished the post of Desi, in whom too much power had been placed. The Changkya Khutukhtu was the title held by the spiritual head of the Gelug lineage of Tibetan Buddhism in Inner Mongolia during the Qing dynasty. Lhade Namloyak is a Tibetan-Australian poet.